A panel of judges has selected three finalists from each level to compete in the final round on January 13. The finalists for each level are listed below, in alphabetical order, and you can find profiles of each artist by clicking each name, or simply scrolling down the page and reading each one. We hope you'll show your support for these talented artitsts by attending the final round concert! Weiran Jiang is currently a freshman at LASA high school. 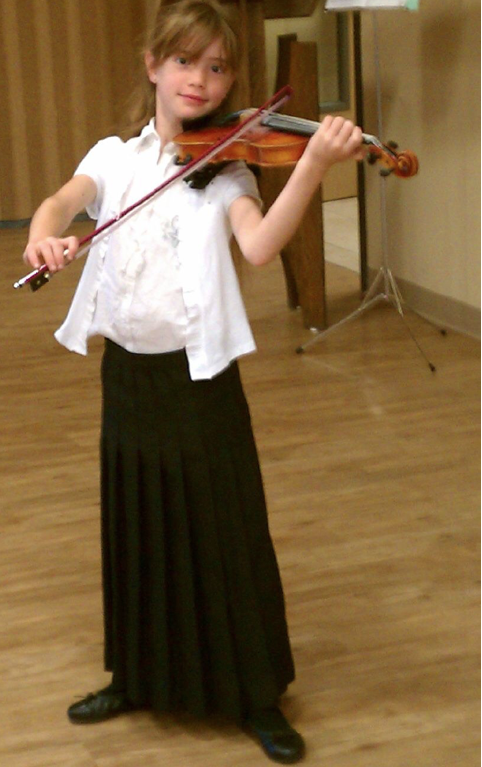 She began taking violin lessons when she was six, and now studies with Ms. Sandy Yamamoto. 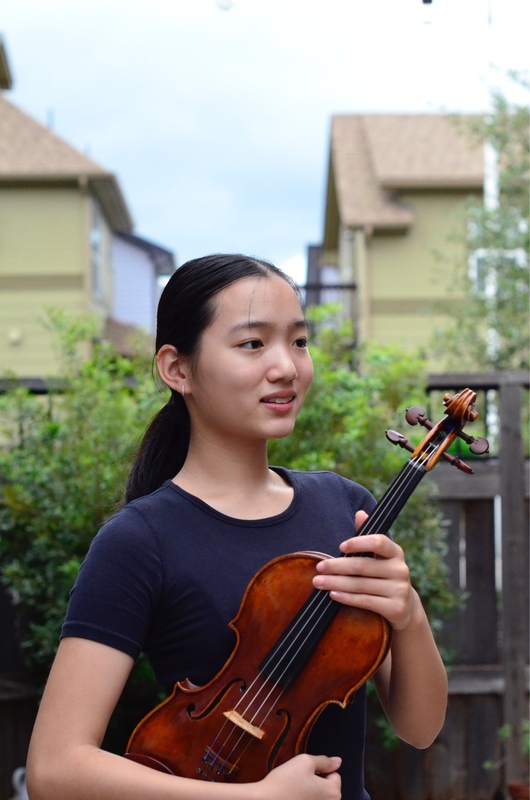 Weiran is a prizewinner in the Asian American Community Partnership Competition Junior Division, and a finalist in the Austin Symphony Concerto Competition. She has played in masterclasses held by Paul Kantor, Jinjoo Cho, and the Emerson String Quartet. Weiran is currently a member of the Austin Chamber Music Center in-school program, and has been invited to perform as a student soloist at ACMC 2018-2019 season concerts. She is the concertmaster of the LASA High School Honor Orchestra and the assistant concertmaster of the Region 18 Symphony Orchestra, and was recently selected to be a member of the Texas All-State Symphony Orchestra. Ms. Jiang is also an accomplished ballet dancer. She has attended the 2018 YAGP region semi-final solo division and has performed in the Texas A&M Bailando Dance Festival. When Weiran isn't practicing her violin, she enjoys singing, choreographing modern dance, and spending time with her family and friends. Sophia Louie is an 8th grader at Canyon Vista Middle School. She started playing violin at the age of 8 with Dr. Amy Harris and is currently studying with Dr. Alexander Serafimov. In 2016, after playing for less than 3 years, she was awarded Honorable Mention in the 8th Young Musicians’ Festival. She is an active member of the Canyon Vista Honors orchestra and has been privileged to have solo performance opportunities with this very talented orchestra. This year, she is also participating in a quartet as part of the CHAMPS program. 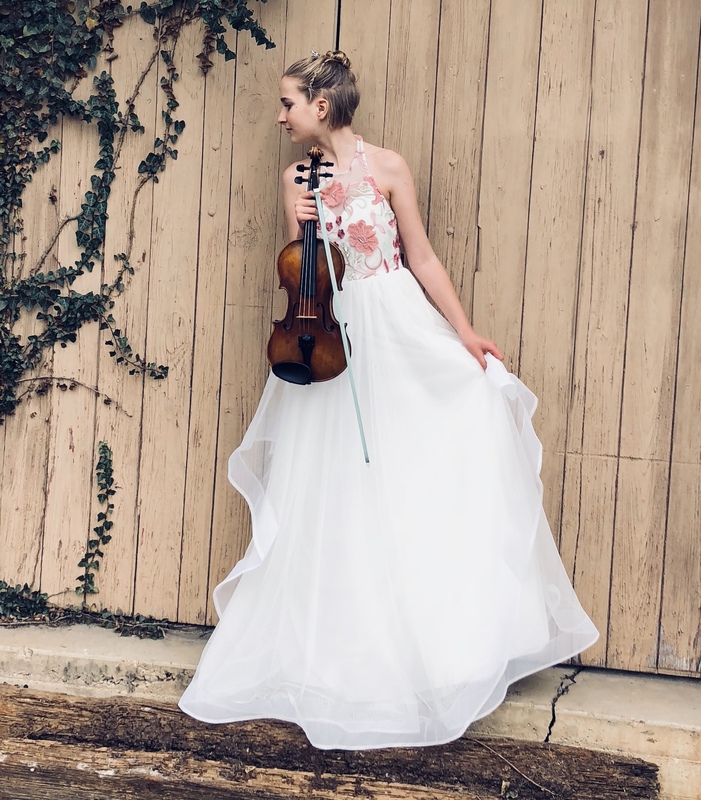 In addition to violin, Sophia is an accomplished pianist and has won several competitions including first prize in the Austin Solo Contest, first prize for piano in the 8th Young Musicians’ Festival, first place in the Schedler Scholarship competition and third place in the Texas Performance Solo Contest. As well as performing beautiful music, Sophia enjoys dancing, running, swimming, spending time with family and friends and listening to music. Lilly Porter began playing violin at the age of five. She participated in the UT String Project until the age of 12, and was chosen for the String Project Honors Recital and Concerto Festival. 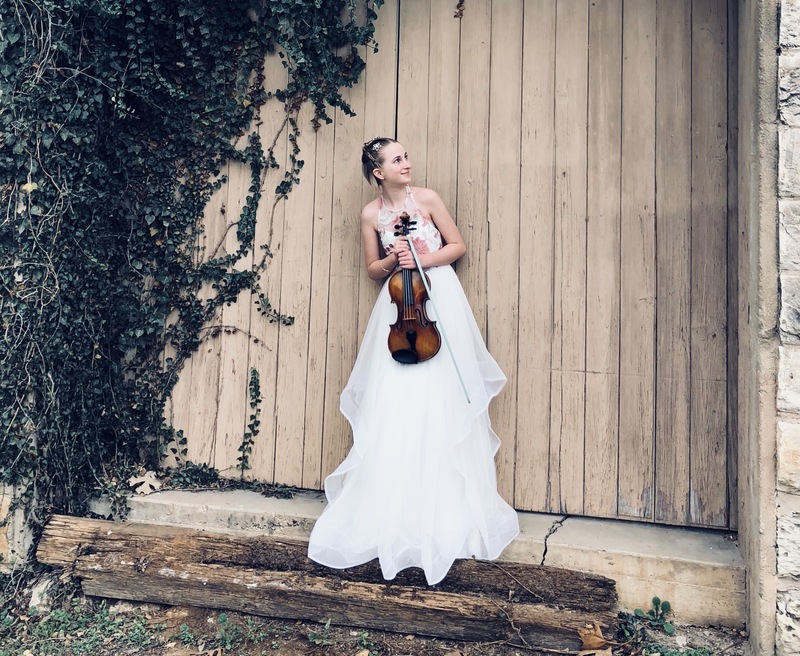 She has attended ACMC summer camps as well as the Omaha Conservatory of Music Institute and the Texas String Camp, where she won the outstanding musician award. Lilly has participated in Austin Youth Orchestra for five years. She enjoys all the friendships she has made through music, as well as the opportunities she has enjoyed to share her music within the community. Her current instructor is Dr. Pasha Sabouri. Edward Seo is 16 years old and a sophomore at Westwood High School, where he is a member of the symphony orchestra. He began playing violin at age 5. For the past five years, he has been selected as a member of the TMEA Region 26 All-Region Orchestra; in 2015 he served as concertmaster of the orchestra. Edward has also served as concertmaster for the Canyon Vista Honors Orchestra, where he received the Jerome Brillhart Award for Musical Excellence in 2017. In 2018 he won membership in the Texas All-State Orchestra. 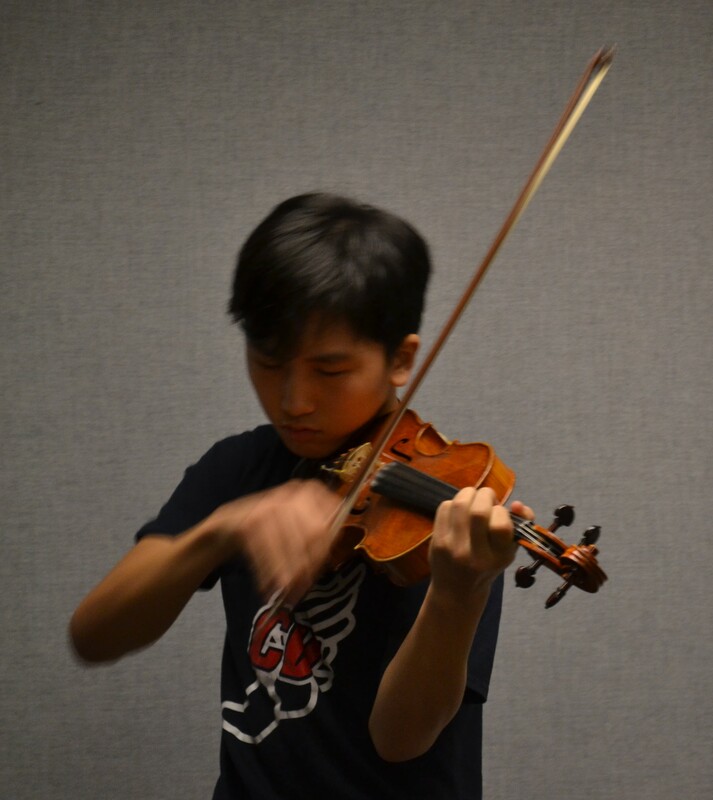 In 2016, Edward was a recipient of the Asian American Challenge Cup award, and he consistently receives Outstanding ratings in local and state UIL Solo and Ensemble competitions. When not playing violin, Edward likes to run, spend time with family, hang out with friends, and participate in extracurricular events at school. He is currently Sophomore Vice President at Westwood High School, and he is also an underclassmen representative for Westwood's Health Occupation Students of America (HOSA) Chapter. Ravi Thangirala is 12 years old and in the 7th grade. He was born in Mississauga, Ontario, Canada, and now attends Gorzycki Middle School in Austin Texas. 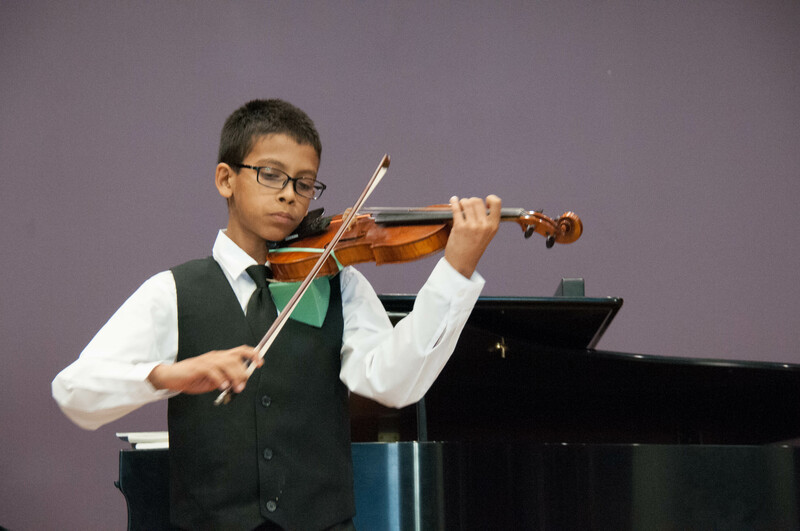 Ravi started playing violin when he was 4 years old, and he has been a student of Daniel Gee Cordova for the past 7 years. He has also been a member of the Austin Youth Orchestra, and this year he was concertmaster of the Region 18 Middle School Orchestra. He is also a member of the Gorzycki Orchestra under the direction of Ms. Julie Allevato. 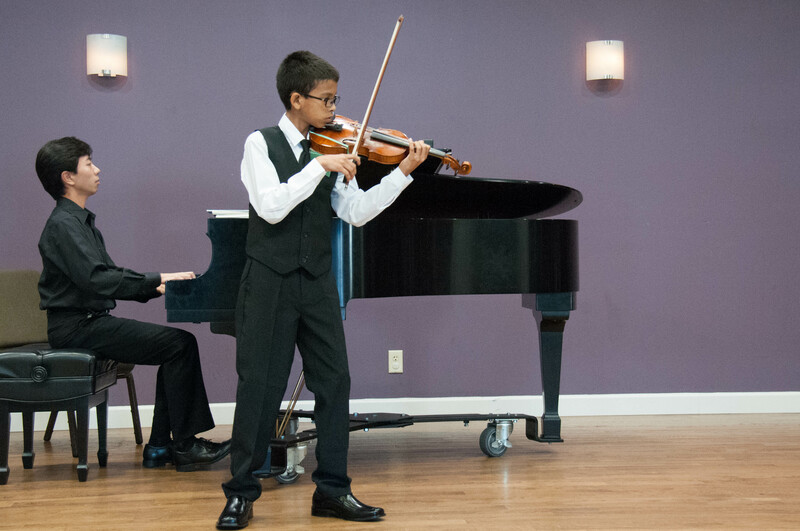 Ravi is currently learning the Bruch Violin Concerto in G minor, which is one of his most special pieces. Ravi also enjoys reading, and he is a big fan of the Blackthorne Key series by Kevin Sands. His favorite subject in school is Math, but he also enjoys playing basketball with his friends and his sister. When he gets older, Ravi would like to be a basketball player, a mathematician, and a musician. Anishka Vogl, age 16, is a junior at McCallum Fine Arts Academy in Austin, Texas. She started playing the violin at the age of 3 as a Suzuki student. Currently she is under the instruction of Dr. Pasha Sabouri; her previous teachers include Dr. Alexander Serafimov and Sandy Yamamoto. During the summers, Anishka attends the Texas Strings Festival and the Encore Chamber Music Camp, where she has studied with Jinjoo Cho, Nancy Zhou, and the Ariel String Quartet. Ms. Vogl is a prizewinner in the Wilcox Competition, and has received the rank of Outstanding Soloist at the Texas State Solo and Ensemble Contest. 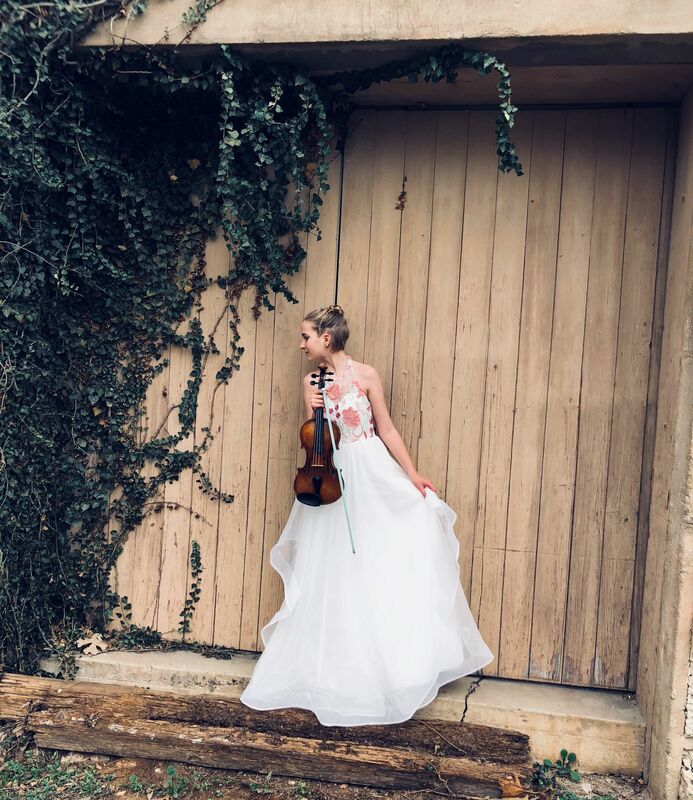 She has been a featured soloist at school gala concerts, and has served as concertmaster of the Austin Youth Orchestra, the McCallum HS Chamber Orchestra and many more. Anishka is also an active chamber musician. Anishka also studies the piano and has been taking exams from the Associated Boards of the Royal Schools of Music (ABRSM) for many years. Recently she received her ABRSM Diploma in Violin Performance with distinction. She has played in many masterclasses for famous artists, including Nadja Salerno Sonnenberg, Vadim Gluzman, Elizabeth Pitcairn, Paul Kantor, Jan Mark Sloman, Jinjoo Cho, Brian Lewis, Jessica Matheas and many others. Outside of music, Anishka enjoys being able to speak multiple languages, including German, English and Spanish, and she is currently studying Mandarin Chinese. She has also danced for many years and recently received a third degree black belt in Tae Kwon Do. Music remains her first love--Anishka aspires to become a professional violinist and develop a career in music.